Bigger and better, Ashok Leyland Dost+ promises lower TCO. 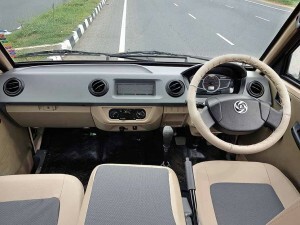 The launch of Dost in 2011 marked Ashok Leyland’s entry into the LCV market in a true sense. Since 2011, more than 1.7 lakh Dosts have been sold. 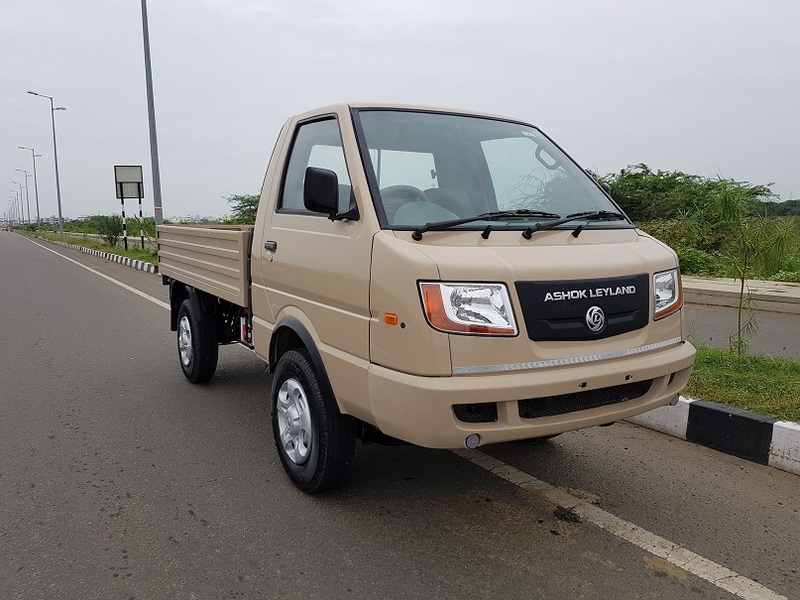 A symbol of Ashok Leyland’s successful foray into the LCV market, the Dost has grown. It has grown in demsions, and in many other areas. It has got itself a new name in the process. Called the Dost+, the new LCV promises Lower Total Cost of Ownership (TCO). Tracing its roots to the collaboration between Ashok Leyland and Nissan, the Dost+ offers 18 per cent more load carrying capacity than the Dost. It also offers seven per cent more loading area. 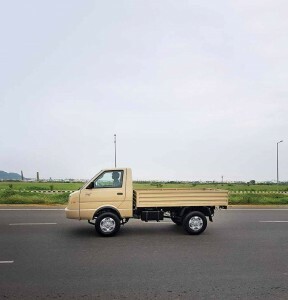 Aiming at the two to 3.5-tonne LCV segment, the Dost+, with a GVW of 2.75-tonnes, looks identical almost to that of the Dost when viewed from the front. Walk over however, and the difference is obvious at once. Despite the semi-forward stance of the cabin, which makes it stand out of the crowd of forward-control LCVs, the Dost+ looks bigger. It is bigger than the Dost. Measuring 4630 mm in length, 1650 mm in width, and 1900 mm in height, the Dost+ offers a payload capacity of 1.5-tonnes. Building over the Dost and the Dost Strong, the new LCV is different in more ways than one. The cabin, despite looking identical to that of the Dost, has been modified to accommodate the large, 15-inch dia. wheels. 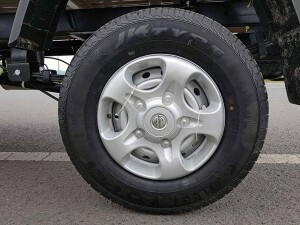 The B-pillar and the portion of the wheel arch, including the portion of the door that is a part of the wheel arch, have been mildly modified. With the bonnet claimed to provide a sense of security to its buyers (this market is typically owner-operator intensive), the new LCV flaunts a 2510 mm wheelbase. It is 160 mm more than that of the Dost. Riding on 15-inch dia. wheels (and 195 R15 tyres) over Dost’s 14-inch dia. wheels (and 185 R14 tyres), the Dost+ has a ground clearance of 190 mm. It is 13 mm higher than that of the Dost. Unlike the Dost, which has four wheel bolts, the Dost+ comes with five wheel bolts. The flat load body of the Dost+ meaures 2645 mm in length, 1620 mm in width, and 380 mm in height. Marginally taller, higher and wider than the Dost, the Dost+ looks modern. It is aimed at a variety of applications like the transportation of agricultural produce, milk, fish, e-commerce, municipal duties, and more. 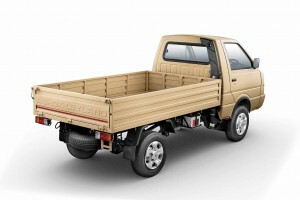 Flaunting good fit and finish standards, the Dost+ presents a construction such that the body is bolted to the chassis. The engine is located longitudinally under the seat. Apart from providing a sense of security, the bonnet (fitted with a collision bar) serves little functional use as such. Developed over a span of two years, the Dost+ is structured on a robust ladder frame. 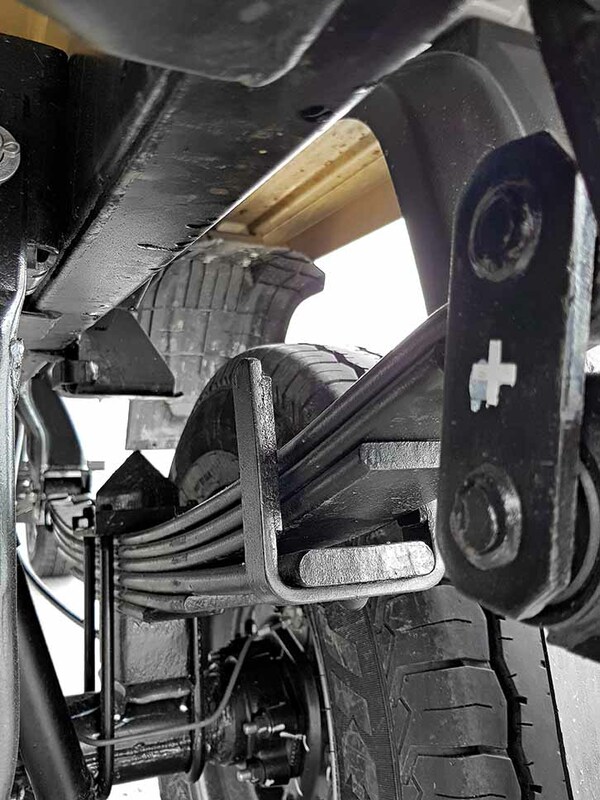 The engine, gearbox, and driveline components like the propellor shaft and differential have been suitably tweaked to handle more load and more power. Unlike the double wishbone and transverse leaf spring front suspension of the Dost, the Dost+ is equipped with a parabolic leaf spring suspension at front. The front axle is rigid. 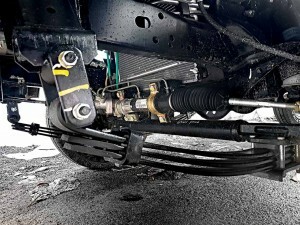 The live rear axle is anchored to the frame with the help of semi-elliptical leaf springs. The front has three leaf springs, and the rear has six leaf springs. 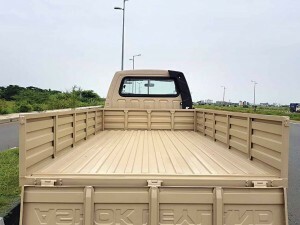 The dual-tone colour scheme of the new LCV’s cabin draws attention. It is typical of the colour schemes found on many modern cars in India. If it signals an effort to present the LCV with a car-like feel, the design of the dashboard is simple and straight forward. The instrument console has a large speedo at the centre. At the dash centre are the blower and the air-conditioner controls. 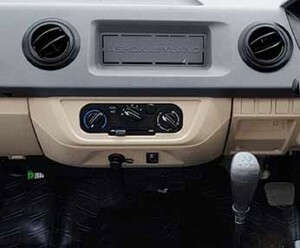 The Dost was one of the first vehicles in its class to offer an air-con. It is good to see the Dost+.carry the legacy forward. In terms of ergonomics, the driver’s seat provides good support. Most controls are within easy reach, and point at good ergonomics. Thanks to the seemingly thin A-pillars, the view oustide is good. Ample glass area also helps. The 63 hp, 1.5-litre common-rail turbo-diesel engine feels refined and energetic. With 170 Nm of peak torque produced at 1600-2400 rpm, the Dost+ displays a good pull from lower revs. This will be appreciated by operators as they endure the challenges in an urban environment. The clutch is light and offers a progressive feel. The five-speed gearbox supports smooth shifts. On an open road, the Dost+ accelerates well. It feels noticeably quicker than the Dost. While a sense of robustness underlines the driving experience (reflecting upon the robust frame and the suspension), the LCV accelerates to speeds in the region of 60 and 80 kmph easily. The power steering provides good feedback. In the city, and when manoeuvring on congested roads, the steering provides good assistance. The air-con shows a good ability to cool the cabin. It is a feature that very few buyers will opt for. The number of buyers with air-conditioned cabin is rising, but the pace is slower than expected. A recent government notification is known to have made the provision of a blower unit mandatory as far as CVs are concerned. 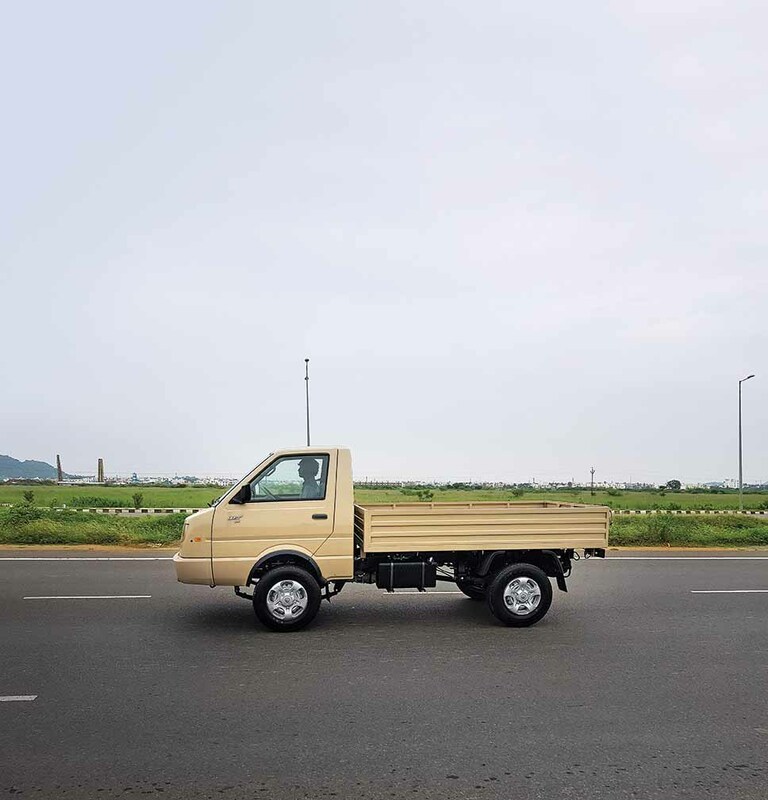 Providing good ride over a variety of surfaces, the LCV, without load, may feel a bit bouncy at the rear on uneven stretches. Under load, it settles down to provide a pliant feel. Fitted with a load sensing valve to regulate brake force distribution, the booster-assisted braking system works efficiently. It exerts a good bite, and gets the vehicle to shed speed. The pedal action is progressive, and activates the ventilated disc brake at front and drum brakes at the rear quickly to improve confidence. Priced at Rs. 5.54 lakh ex-showroom Chennai, the Dost+ marks a distinct change over the Dost and Dost Strong. 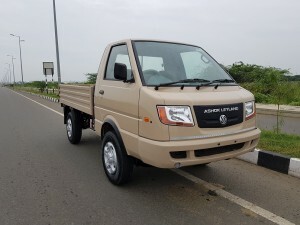 It is certain to further boost Ashok Leyland’s presence in the LCV segment. Claimed to enjoy a 40 per cent market share in the segment with the Dost and the Partner accounting for 25 per cent of the sales volumes across all the vehicle segments of Ashok Leyland, the Dost+ is set to provide its maker with the right arsenal to further strengthen its position in the domestic market, and find a stronger footing in the export markets. 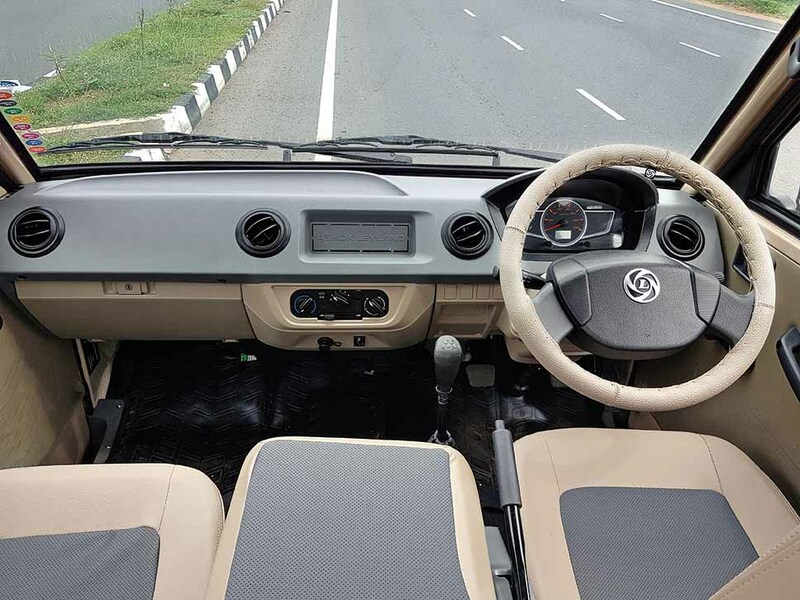 With Ashok Leyland expected to engineer left-hand drive versions of its LCVs, the Dost+ is set to play an important role in India and abroad. With one new LCV slated for launch every six months from Ashok Leyland, the Dost+ offers a glimpse of the future.